Solo is Android's most popular virtual guitar. 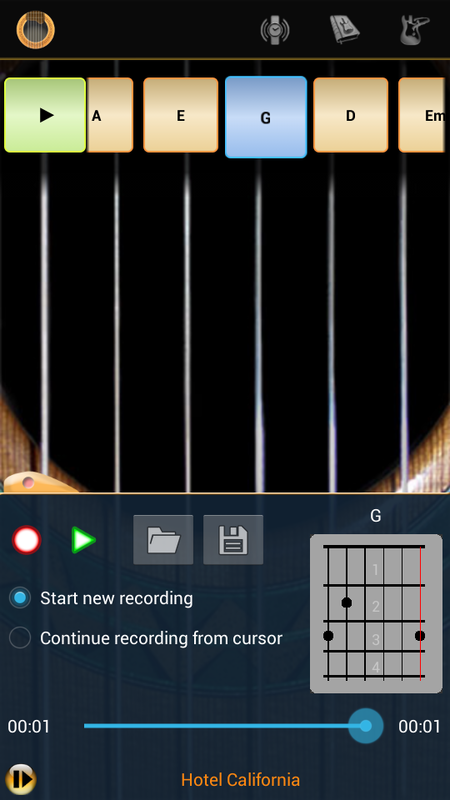 It provides you with a fun and easy to play guitar that you can take anywhere with your Android powered mobile phone. It is a great tool for seasoned musicians and beginners alike - whether you want to quickly try out a new idea when song writing, or just jam along with your mates, Solo will provide you with hours of entertainment. 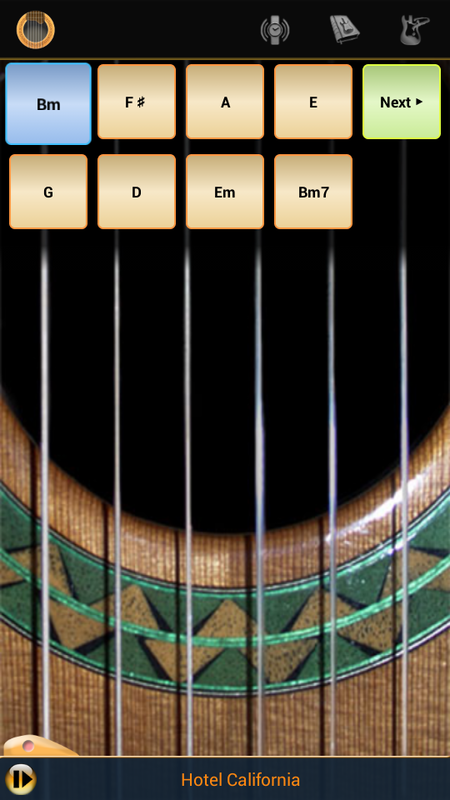 The app has a huge integrated chord library with more than 380 unique chords. 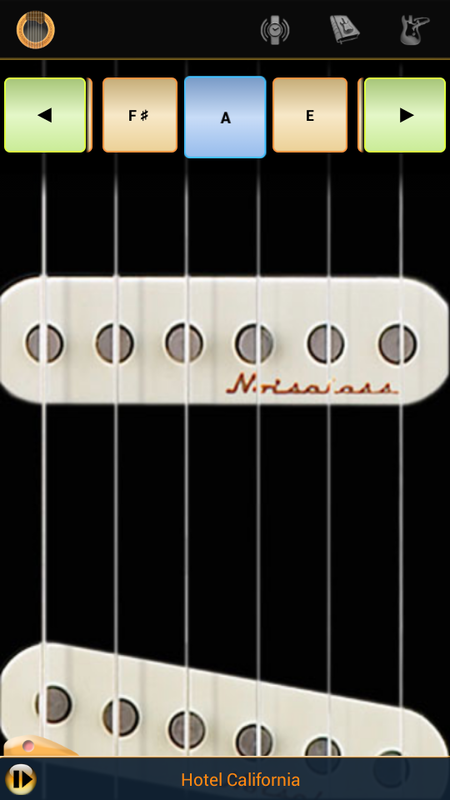 It displays finger positions for the chords in natural, flat or sharp configurations. 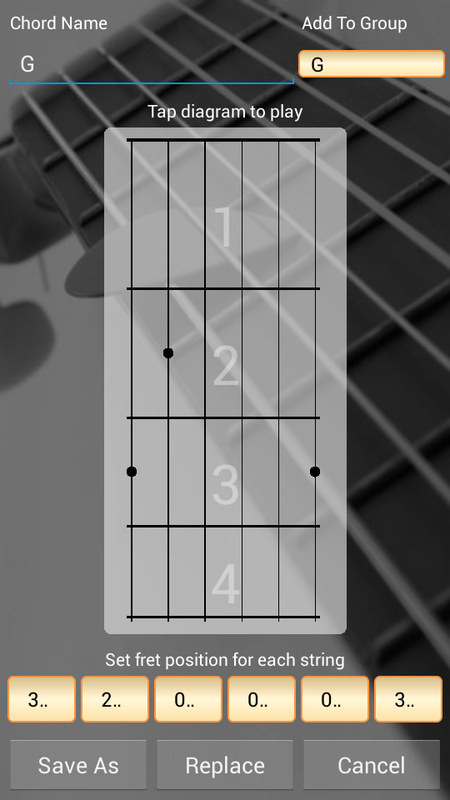 This can be used as a reference when playing a real guitar (it also plays a sample of what each chord should sound like), and to customize your chord layout visible on the main screen. Chord layouts can be saved and loaded for future use. 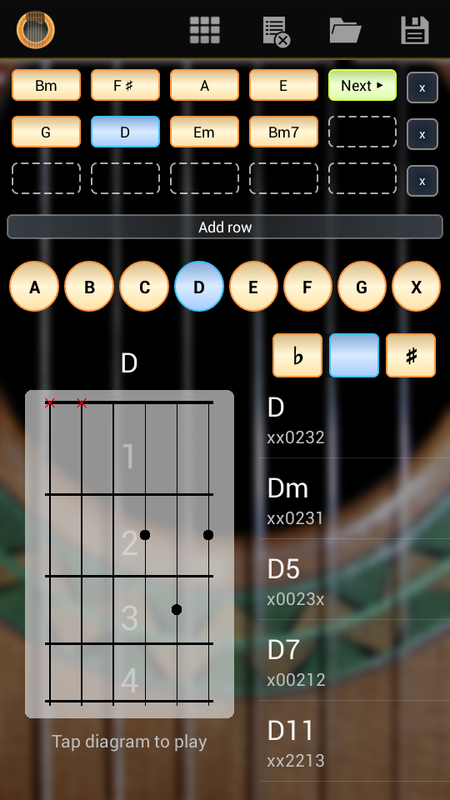 Load and save chord layouts for your favorite songs. Play along with music from your phone! Solo will search your phone for music tracks and allow you to play along with the selected track playing in the background. 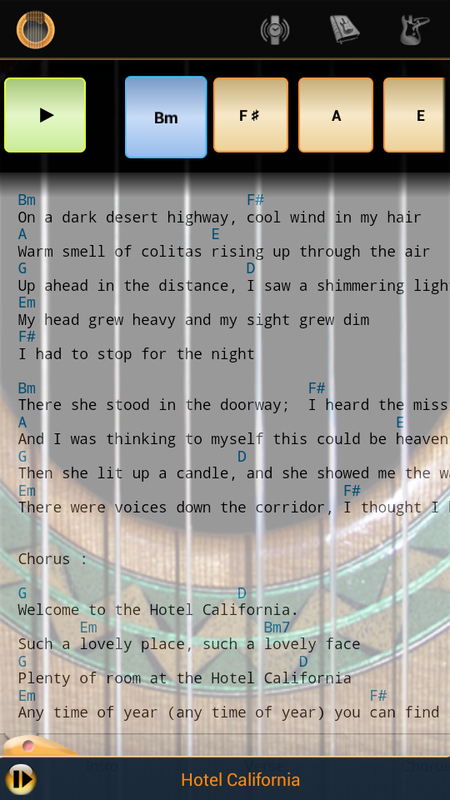 Lyric overlays allow you to search the web for lyrics and chords for almost any song, and displays the lyrics as a semi-transparent overlay on top of the guitar. This is a great way to learn how to play new songs. A variety of interface tweaks are supported, allowing you to customize the app to a playing style that best suits you. Attach to a supported smartwatch and use the watch to strum, like playing air guitar! "Sounds great! Where can I get it?" The easiest way to get Solo is from the Google Play Store. The original Solo is available as a paid app, while Solo 2 is free, with upgrades available as in-app purchases.